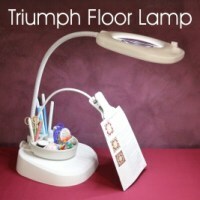 The light is provided by 21 LED lights providing maximum brightness and the lowest possible heat. The magnifier is a 6\" (15cm) optical quality glass lens with 2 x magnification all on the end of a flexible neck for precise and easy positioning. 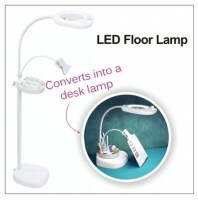 The lamp uses 21 LED Bulbs. 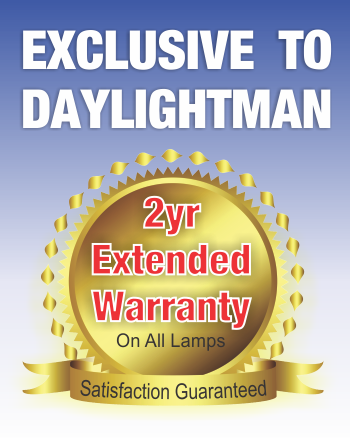 LED bulbs have an enormous life expectancy and the suppliers have advised that by using these bulbs it is not necessary to change the bulbs so the lamp is a fixed unit. LED light bulbs contain no mercury (unlike a Compact fluorescent lamp or CFL), they turn on instantly, and the lifetime is unaffected by cycling on and off, so that they are well suited for light fixtures where bulbs are often turned on and off. LED light bulbs are also mechanically robust; most other artificial light sources are fragile. LED lamps have no glass tubes to break, and their internal parts are rigidly supported, making them resistant to vibration and impact. With proper driver electronics design, an LED lamp can be made dimmable over a wide range; there is no minimum current needed to sustain lamp operation.